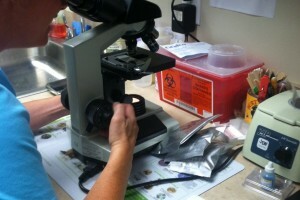 Our in-house laboratory provides cytology, urinalysis, and parasite testing. For specialized diagnostics, such as serum chemistry, hematology, serology, we utilize off-site labs with daily courier service and swift turn-around times. 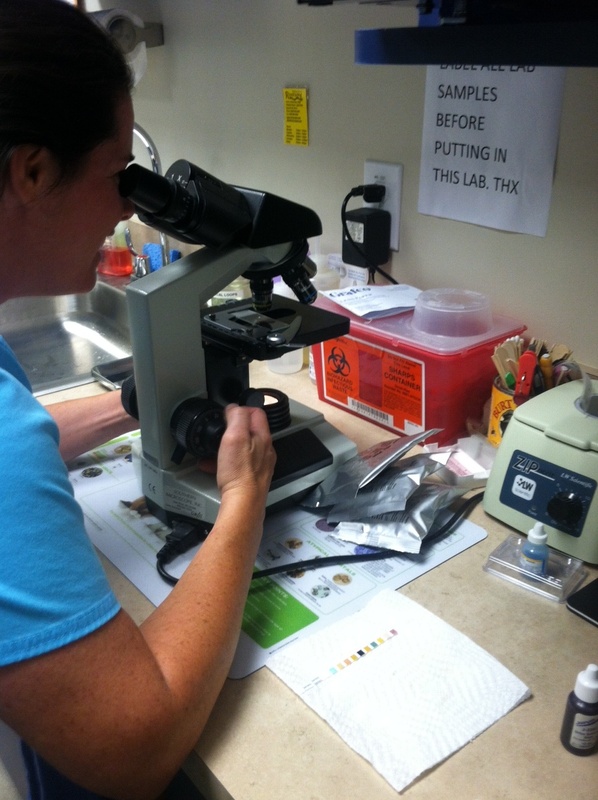 Here’s Heather, a Registered Veterinary Technician, reading a slide. Her professional education and training is crucial to processing labwork! 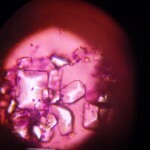 This image shows crystal formations found in a pet’s urine.